Ernesto Valverde has called up 19 players for the trip to Mestalla (8:45pm CEST) MATCH PREVIEW! One of the most difficult games of the season await Ernesto Valverde's team. The coach has called up 19 players for the trip to Valencia (8.45pm CEST): 1. Marc-André ter Stegen, 2. Nélson Semedo, 3. Gerard Piqué, 4. Ivan Rakitic, 5. Sergio Busquets, 6. Denis Suárez, 7. Philippe Coutinho, 8. Arthur Melo, 9. Luis Suárez, 10. Leo Messi, 11. Ousmane Dembélé, 12. Rafinha, 13. Jasper Cillessen, 14. Malcom, 15. Clément Lenglet, 18. Jordi Alba, 19. Munir El Haddadi, 22. Arturo Vidal, 24. Thomas Vermaelen. Sergi Samper and Carles Aleñá have been left out by Valverde, whilst Sergi Roberto and Samuel Umtiti are injured. 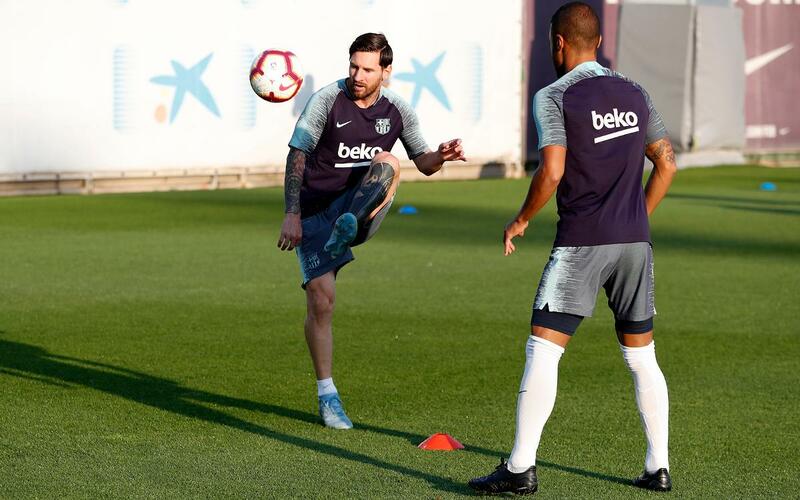 This Saturday the team trained for the last time before their visit to Mestalla, working out on the Tito Vilanova pitch at the Ciutat Esportiva Joan Gamper.